The old adage, ‘Eat your breakfast like a king, lunch like a prince and dinner like a pauper,’ is the best way to stay healthy. 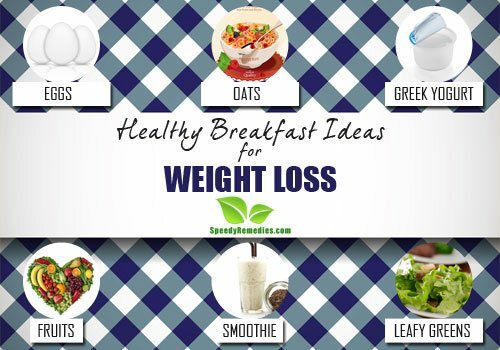 Many times people skip their breakfast thinking that it will help them lose weight. But on the contrary research suggests that breakfast skippers snack more often, eat more sugary, high-fat snacks, drink more soda, are more likely to overeat the rest of the day, and are more often overweight than breakfast eaters. A 2005 study published in the American Journal of Clinical Nutrition found evidence that people who skip breakfast compensate later in the day with more refined carbohydrates and fats and fewer fruits and vegetables. Your body uses your first meal – breakfast – to top up its glucose levels after you have gone without food for twelve hours overnight. When you skip breakfast, your glucose levels drop lower. As a result, you feel hungry. This sets you up for overeating later in the day. On the contrary a healthy morning meal makes you feel satisfied and nourished, making you less likely to overeat the rest of the day. A healthy breakfast raises your attention span and also increases your productivity, provided you aim for a breakfast that combines good carbohydrates and fiber with some protein. Whether it’s hard-boiled, fried, poached, scrambled or folded into an omelette – eggs are a healthy source of protein, zinc, iron and vitamins A, D, E and B12. According to a 2008 study published in International Journal of Obesity, an egg breakfast enhances weight loss, when combined with an energy-deficit diet. Eating eggs makes you feel fuller for longer so that you’re less likely to grab a mid-morning snack or stuff yourself at lunchtime. Egg yolk has a bad reputation of raising cholesterol level, but when you eat cholesterol, the body does not produce more but uses it from the food, and when you eat eggs there is no significant effect on your blood cholesterol levels. In fact, the yolk contains choline, a fat-fighting nutrient that can help you lose weight, making whole egg dishes a healthy breakfast option. It’s probably fine to eat an egg a day if overall you are not eating a lot of fat and cholesterol. For a healthy breakfast dish, avoid frying eggs and instead combine them with wholemeal toast and a glass of unsweetened orange juice. The vitamin C-rich juice will help the body absorb the iron in the eggs effectively. Experts recommend eating an egg a day is okay if you eat a healthful diet including lots of vegetables, fruits, fiber and less saturated fats. Oats contain beta-glucan, a type of fiber that helps lower cholesterol when consumed regularly. Oats are also rich in omega 3 fatty acids, folate and potassium. Steel-cut oats contain more fiber than the rolled oats or the instant varieties that are usually available in the market. Steel-cut oats will take about 15 minutes to cook. Just avoid the flavored varieties that are packed with sugar. In case you want your oats to be sweetened, add milk and a bit of honey. Plus, top it up with fruits and nuts to raise its health quotient. Greek yogurt is one of the best breakfast foods as it contains double the amount of protein compared to your traditional variety of yogurt. Greek yogurt is rich in calcium and plenty of protein – twice as much as your regular yogurt. As a result, it helps to keep you full till your lunch. Swap your fruit-flavored yogurt for a plain, low-sugar variety. Add little flavor to your plain variety by including some berries like strawberries, raspberries or blackberries as they contain polyphenols that aid weight loss. Greek yogurts are also a great combination with your fruit smoothies as just plain smoothies can cause a rapid rise and fall of blood sugar, but a dash of protein like greek yogurt can keep your blood sugar stable and can also keep your hunger at bay. If you are not an egg or dairy person, almond butter is a good breakfast option. A good source of protein, almond butter is filled with monounsaturated fat, which is considered to be a healthy fat. You don’t need to eat a lot of it to feel full and satisfied. Almond butter is comparable to peanut butter as both contain about 100 calories per tablespoon. But almond butter contains little less saturated fat than peanut butter and also it contains more calcium and fiber than peanut butter. Spread your almond butter on your whole grain bread and have with an apple or a banana to add a dose of nutrition. Whole grain bread contains more fiber and nutrients than their white counterparts, making it longer to break down in your system. This results in keeping your energy levels up for a longer period of time. Fruits like grapefruit, berries, bananas, avocado and watermelon are healthy breakfast options. Grapefruit has fat-burning properties that help you to slim down faster. Eat half a grapefruit before your meal to keep you full. Grapefruit is hydrating and contains immunity-boosting antioxidants. For a healthy breakfast, pair it up with yogurt or an egg for adding a dose of protein. Having a banana for breakfast can keep your mid-morning cravings at bay. Bananas are a rich source of potassium and healthy carbohydrate that helps you to stay fuller for a longer period of time. Add banana slices to a bowl of cereal or oatmeal. Watermelon is another excellent source to hydrate yourself in the morning. Watermelon contains lycopene, a nutrient that is good for vision, heart, and cancer prevention. Watermelon contains only 40 calories per cup, making it one of the best negative-calorie foods that is said to burn more calories during digestion than the calories they add in. All kinds of berries are considered to be superfoods that are high in antioxidant properties without being high in calories. Blueberries contain just 80 calories per cup. One cup of strawberries contains your required daily intake of vitamin C, along with high quantities of folic acid and fiber. So, mix some berries in with your cereals without worrying about counting your calories. Sip on a cold, creamy smoothie made from fruits to kick start your day with a healthy breakfast. Fruits like kiwi, berries, avocado and pear contain fiber that fills you up instantly to prevent hunger. Since fruits are full of natural sugars, your body metabolizes them quickly, leaving you with hunger pangs within an hour. To avoid this issue, pair your fruit with a protein source such as milk, greek yogurt, protein powder, soft tofu, beans, nuts, or nut butter. Protein will help you to sustain your energy throughout the day. Avoid adding any extra sweeteners to your smoothie. 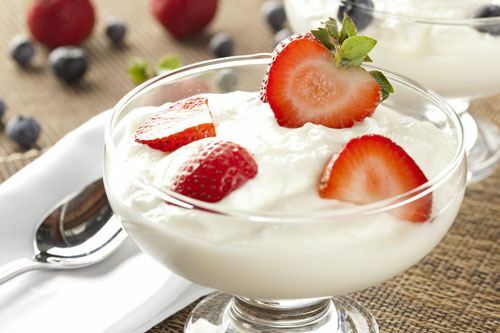 Use plain yogurt instead of flavored yogurt and use unsweetened milk if using any. Flax seeds are full of healthy fats and fiber, which will help you to feel fuller and satisfied for a longer period of time. This will make you eat fewer calories that may lead to weight loss. Plus, flax seeds are a rich source of Omega 3 fatty acids and getting a sufficient amount of omega-3s may help prevent obesity. According to a 2010 study published in the Journal of Nutrition, walnut and flaxseed may improve obesity and support weight gain. Sprinkle some ground flaxseed into a smoothie or your bowl of cereal for a healthy option. Just two tablespoons of flaxseed contains more than 100% of your recommended daily intake of healthy fats. 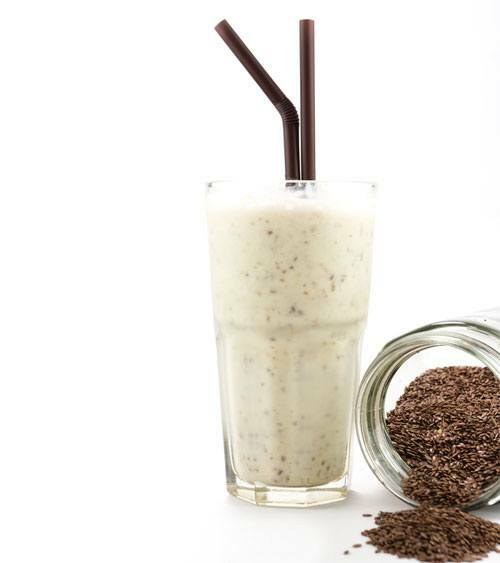 You can even go for chia seeds or hem seeds to increase the fiber and nutrient content of your smoothie. Avoid consuming whole flaxseeds as they are not easily digestible, so grind them and use. Watercress, kale, spinach, collards, arugula, cabbage, romaine lettuce, swiss chards, mustard greens and a few others help you lose weight as they are nutrient rich and are low in calories. Instead of consuming a bowl of plain leafy greens, try adding some protein and fat to it so as to satiate your hunger and keep you full for a longer period of time. Blend some greek yogurt or unsweetened almond milk with your greens to make a smoothie. Or simply add your leafy greens to whole wheat bread sandwiches with crispy bacon. As leafy greens will make you feel fuller for a longer time, it will not tempt you to binge on a meal later in the day. Add some sliced avocado and a handful of sunflower seeds to your bowl of spinach or kale. Top it up with soft-boiled eggs.